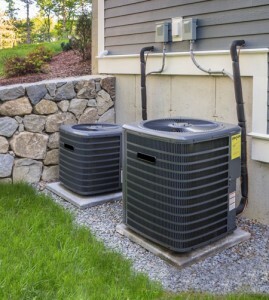 Choosing to Upgrade or Install an air conditioning system in your home or business is a significant investment. It’s a complex job which requires the expertise of a professional. Moreover you want your air conditioning to be reliable and installed to the best standards. Superior Comfort has over 20 years experience in the design, service and installation of air conditioners. Recognized as a Rheem top contractor we pride ourselves on performing every installation with the best level of quality and attention to detail. We are proud to sell and install products from some of the leading brands including: Rheem, Burderus, Daikin, Well-McLain, Honeywell, Aprilaire and Burnham Technologies. Every installation is tailored with fine detail. When you choose us to install your air conditioning system we will discuss your specific needs to come up with the right application to suit your home or business. We pay attention to every fine detail to ensure a system that works for you. Be assured that our friendly staff will be on-hand to answer your queries, from choosing the right system to professionally designing and installing it. Efficient air conditioning without the duct work. If you have less space in your home or business property, a ductless mini-split system could be the perfect solution. Compact, these efficient coolers can be installed for direct point-of-use in one room, or several. Learn more about our ductless a/c installation. Commercial client? Speak to us about our customized service agreements; you can expect: discounts on labor and materials plus priority service.